NextDent Tray for Ceramill (validated) is a biocompatible Class I material designed to print individual impression trays. The material distinguishes itself through high printing speed and accuracy. 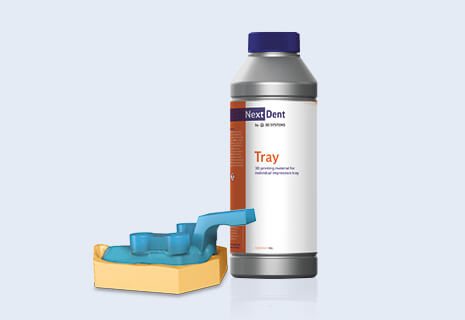 NextDent Tray resin enables technicians to make even the most complex trays in a matter of minutes. The printed trays are rigid and suitable for all types of impression material, making high-quality, high-precision impressions possible.